Below are testimonials from some of many happy clients. If you would like to leave a review, you can review us on Facebook or Google. A friend and I recently had a half Day Spa package with Diane and it was amazing. 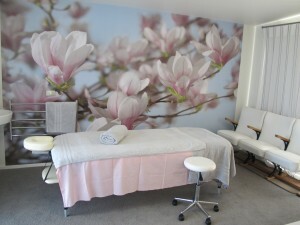 Diane offers a home based spa experience which was personalised and inviting. We started with a foot soak and scrub, then a soak in the spa pool with amazing views; followed by an hours massage and then a facial. It was all bliss. And if that wasn’t enough we finished up with afternoon tea which included the yummiest cake I have had in along time. (p.s I’d love the recipe). A great experience, personal and relaxing and very affordable. Also a great recommendation was made for dinner! Thanks Diane and Uschi for a wonderful girls afternoon away. – Racheal Clark of Hamilton. As a woman in my early fifties, exercise is a very important part of my life and I can often be found on the local tennis and golf circuit. The downside of my participation in these sports is tight muscles and aching limbs. I receive fortnightly massages from Diane to relieve muscle tension, inflammation and joint pain and to re-energise myself. Diane comes from a Nursing background and has a sound understanding of anatomy and physiology. She combines this knowledge with extensive training in soft tissue massage and Holistic Healing. Diane uses healing essential oils and her magic fingers to release any strain and tension. Diane’s massage treatments are both therapeutic and relaxing, bringing a healing energy to my body. Absolute bliss, and not to be missed – my monthly massage. I rush in after a busy working week and float out with every muscle stretched and soothed. Being a busy sales rep, I spend far too long in a motor vehicle and prior to massage therapy was suffering from tennis elbow and tingling in my hands; both have since disappeared. Diane can pick the tight muscles and work miracles. I absolutely recommend Diane Belz and her magic touch. I am a World War 2 Veteran. I have been having fortnightly massage at Tranquil Therapy Massage since August 2004. Re: Diane Belz and Tranquil Therapy Massage. I have been having regular massages over the past ten years as I have back and neck problems after a car accident left me with whiplash a number of years ago. I also have a very stressful job so massages are very important to me on a regular basis. Diane has a calming and caring manner and I know she really enjoys her work and gives a hundred per cent to her clientele. I encourage anyone to have a treatment with Diane as you will reap the benefits twofold. I have had the pleasure of receiving massages from Diane Belz for the past few years. I first visited Diane after receiving a gift voucher for Tranquil Therapy Massage and have been going back for more ever since. Being a busy mother of three and director of a local building company, I find my visits to Tranquil Therapy very therapeutic, a great way to relieve stress and unwind. I have no hesitation in recommending Diane to anyone considering massage therapy. and we then followed up with a movie and dinner. We loved the whole atmosphere you created and felt very at ease. Thank you again. We will be back for more. Are you my next satisfied client?